Gosh you would think I was sitting on top of some hot-burning fire this weekend because I got a lot done. (Does that even make sense? I feel like that was my attempt at some Depression era ‘talk’) I had to go to my local USPS office to find a missing package with some very special cargo in it. Thankfully, my post office is actually super close to my house and the people who work there are actually pleasant… I know right? 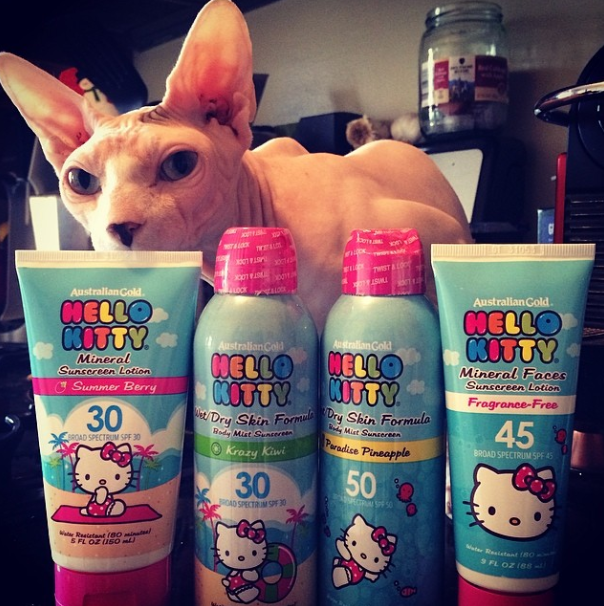 that’s a whole summer’s worth of HK sun protection. I also took another practice exam for the GMAT and did an astounding 60 points better in just two weeks! I’m very pleased with this progress and know it is just an affirmation that the studying I am doing is really paying off in a big way. After my CAT, I went ahead and ventured into my craft room for some wonderful sewing projects! I just used a basic bias skirt pattern from McCall’s similar to THIS ONE. I did however use french seams and wish I had known about those sooner – I LOVE their finish. 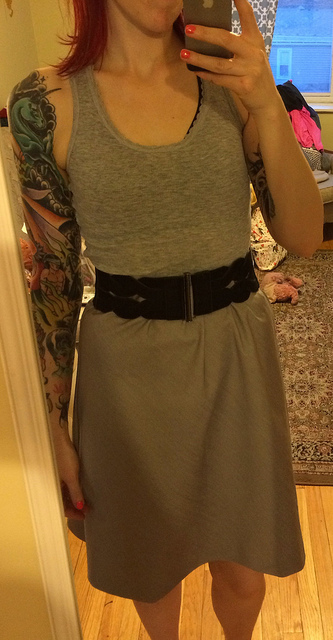 my new gray denim skirt. 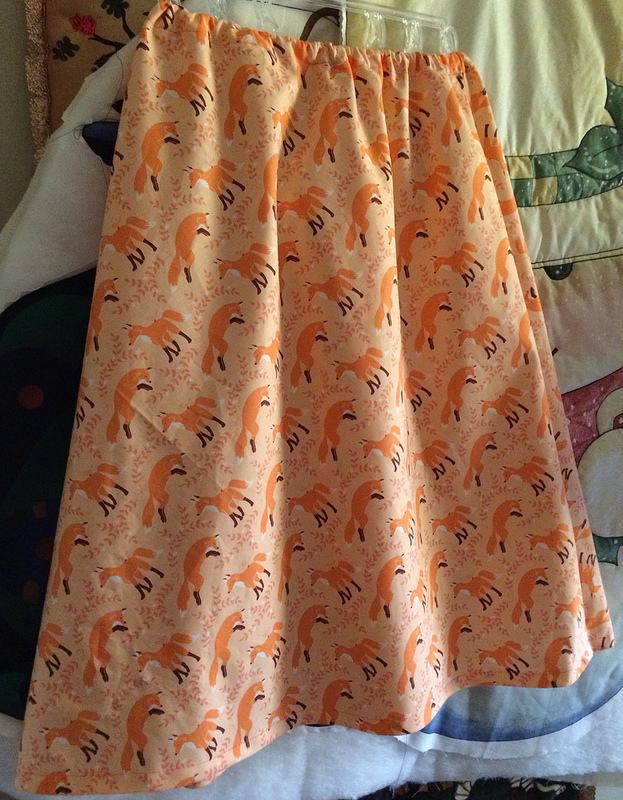 adorable fox skirt for lovie. 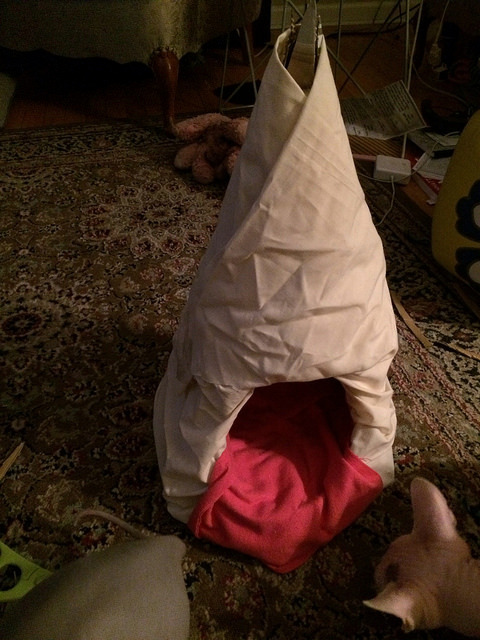 I also tried to make a little tepee for the cats, but they were no feeling it. I think I need to make it bigger, they just didn’t seem to think it was very cool. Cats… they love the ‘sack’ of cloth I made for them a few weeks ago, but don’t understand this has potential for the best photoshoot ever! 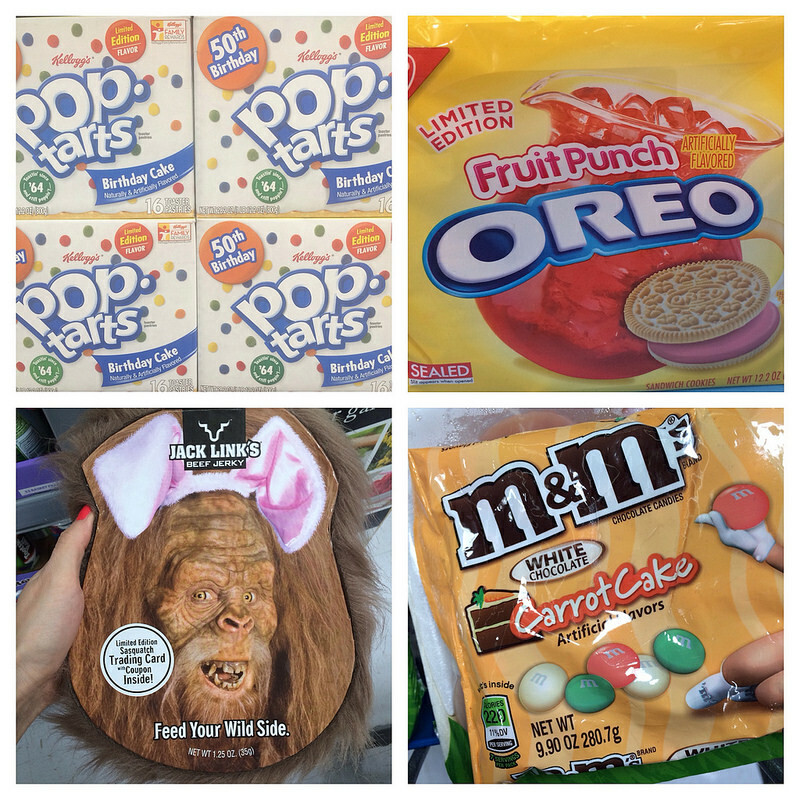 walmart is a great place. 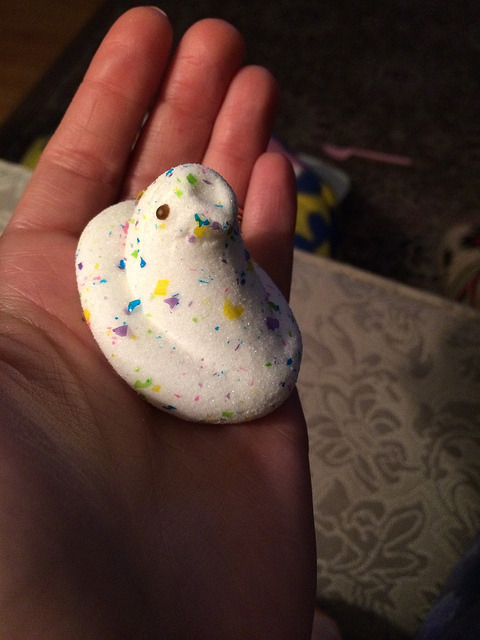 vanilla creme peep – limited edition. limited lifespan – CHOMP. Sunday, I colored my hair, and while that was processing made that fox skirt up above! 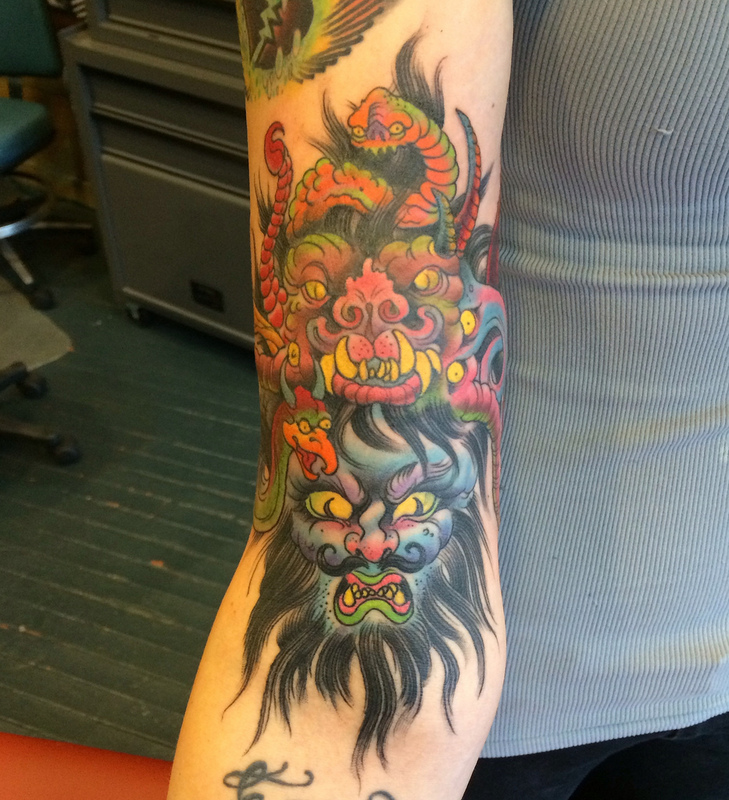 Then I went to finish my Dunwich Horror with Mister Josh Howard at Pioneer Tattoo. I love it. 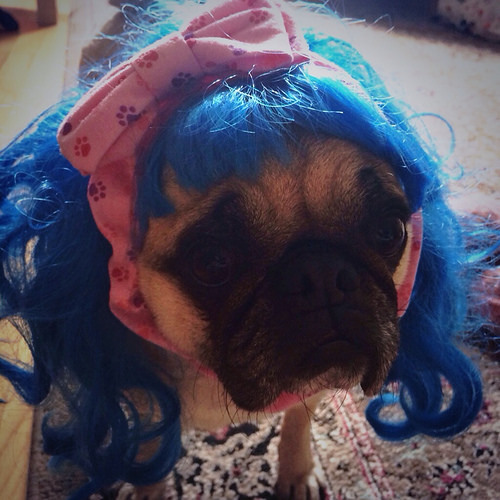 There was also a Katy Puggy siting… I keep tweeting the real Katy Perry – maybe one day she’ll see. < Previous Game of Thrones Season 4 Party! Next > Allegro Coffee Headquarters Visit!